Disease is any abnormal condition, affecting all or part of an organism. While most people are familiar with human diseases, it should be noted that other animals, as well as plants, are subject to disease. Dutch Elm Disease, for example, affects trees. When discussing human beings, the term disease is used to refer to any condition that causes some combination of pain, dysfunction, social problems, or death. 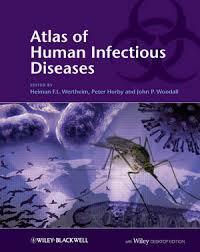 Disease can be spread by pathogens or occur as the result of a person’s lifestyle. There are four main types of disease: deficiency, pathogenic, hereditary, and physiological. Diseases can be either communicable or non-communicable. Influenza and AIDS/HIV are communicable diseases. Heart disease is non-communicable. Diseases can be mental or organic. Mental diseases are a broad category that includes major depression, schizophrenia, and anxiety disorders. Organic diseases, in contrast, are those that are caused by a physical or physiological change in the body. An acute disease is a short-lived disease, such as the common cold. A chronic disease is one that persists for at least six months. Chronic diseases can be stable or progressive, or may go into remission. The term flare-up is used to describe the reoccurrence of symptoms. A refractory disease is one that resists treatment. Progressive diseases have a tendency to worsen over time, eventually resulting in organ failure or death. Epidemiology is the study of the causes of disease. Acute Lung Disease - Major symptoms of acute lung disease include rapid breathing or hyperventilation, breathing difficulties, excessive deep and rapid breathing, and reduced levels of oxygen in blood circulation. Causes of AIDS - Order a custom research paper on the causes of AIDS and you will receive the most up-to-date and relevant medical health research findings on AIDS. AIDS Virus - AIDS Virus research papers overview many aspects of the discovery and treatment of the AIDS virus. ALS – Lou Gehrig’s Disease - Amyotrophic lateral sclerosis or ALS is a disease of the neuromuscular system. Alzheimer’s Disease - Alzheimer’s disease, a degenerative condition most commonly (and somewhat erroneously) affiliated with the elderly, falls under the broad definition of dementia. Alzheimer’s Disease - The scope of Alzheimer’s disease (AD) and its effect on the brains of the elderly has been recognized for only a decade. Alzheimer’s Disease/Dementia and Caregivers- Alzheimer’s Disease research papers look at an example of how to order a Master’s Level Thesis. Autoimmune Diseases - Autoimmune Diseases research papers discuss the genetics and environmental factors that cause autoimmune diseases. Celiac Disease - Celiac disease is a chronic digestive disorder that prevents proper absorption of certain types of grains. Cushing’s Disease - Cushing’s Disease research papers discuss the disease on the overproduction of cortisol or adrenocorticotropic hormone. Ebola - Ebola research papers examine the symptoms and origin of the destructive disease. Familial Alzheimer’s Disease - Familial Alzheimer’s Disease research papers discuss the uncommon form of the fatal, memory-affecting disease. Gastrointestinal Diseases - Gastrointestinal Diseases research papers discuss the diseases that occur in the gastrointestinal system. Genetic Heart Disease - Genetic Heart Disease research papers deal with the different factors involved in this health condition. Hodgkin’s Disease - Hodgkin’s Disease research papers discuss the type of cancer, also known as Hodgkin's lymphoma, that originates in the body's white blood cells. Neurological Diseases - Neurological Diseases research papers examine the disorders that affect the body’s nervous system through abnormalities in the brain, spinal cord, or along the body’s numerous nerves. Parkinson's Disease - A brief history of the disease, as well as it symptoms will be discussed. Periodontal Disease - Periodontal disease refers to a group of problems that arise in the crevice between the gum and the tooth or the gum sulcus. Peripheral Artery Disease - Peripheral artery disease (PAD) is a common topic in nursing research papers. Respiratory Disease - Respiratory Disease research papers discuss the pathological conditions that affect the breathing system of a human being. Sexually Transmitted Diseases - Sexually Transmitted Diseases research papers write on syphilis, gonorrhea and herpes and explore the origins of these diseases. Technology and Infectious Disease - Technology and Infectious Disease term papers illustrate the relationship between technological advances and illness. Paper Masters writes custom research papers on Disease and look into the term used for any abnormal condition, affecting all or part of an organism.